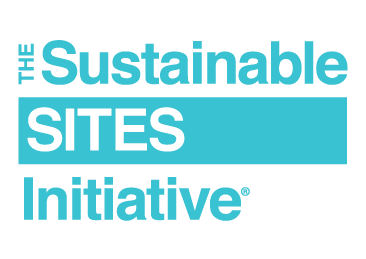 Chicago—(Nov. 17, 2016)—Navy Pier, Inc. (NPI) is proud to announce it has achieved Gold certification under the Sustainable SITES Initiative (SITES) rating system, the first project to earn this level of certification under SITES v2. Phase 1’s Gold certification demonstrates NPI’s undeniable commitment to the environment through expanded green spaces, improved pedestrian access, energy efficiency, innovative storm water management, use of recycled local materials and much more. This certification recognizes Navy Pier’s achievements as it remains a world-class attraction with expanded programming and more engaging public spaces for residents and visitors alike. GBCI’s SITES program is the most comprehensive system for developing and distinguishing sustainable landscapes and aligns land development and management with innovative design through a rigorous and holistic approach to sustainability. A metrics-based rating system, SITES credits are achieved in categories that include site context, water use, soils and vegetation, materials selection, human health, construction, maintenance and innovation in design. James Corner Field Operations (JCFO), an award-winning landscape architecture and urban design firm, led the Phase 1 redesign of the Pier. JCFO’s innovative redesign has created stronger connections between city and lake with unique spaces for visitors to enjoy by de-cluttering and simplifying what was once an overly commercial space. Best exemplifying Navy Pier’s commitment to sustainability is its new “green spine”—a more open and tree-lined South Dock Promenade, as well as an expansive and newly developed Polk Bros. Park and Fountain. In addition to planting hundreds of new native and appropriately adapted trees, the redesign included forward-thinking infrastructure to redirect and utilize storm water for plant irrigation. Reducing energy consumption is a major priority for the Pier. An estimated 60 percent reduction of the total energy consumption will be realized through the selection of energy efficient lighting, pumps, aerators and more. Additionally, NPI recently signed on to a five-year Green-e certified renewable energy credit contract for 100 percent of its energy usage. During construction, Navy Pier set rigorous specifications for materials used. At the end of the day, 29.75 percent of materials used were made from recycled content. Throughout the construction process, 100 percent of the structural waste and 99.94 percent of roadway and infrastructure waste was diverted from landfills. To continue the green efforts, the Pier has implemented a new waste management plan that includes recycling receptacles throughout its campus. This recognition comes as Navy Pier continues to reimagine and reinvent Navy Pier as a bolder, greener and contemporary public space with expanded arts and cultural programming. The Pier recently received City Council approval for its next phase of redevelopment and intends to uphold and continue to build upon its commitment to sustainability through the next round of construction. SITES was developed through the collaborative, interdisciplinary efforts of the American Society of Landscape Architects, the Lady Bird Johnson Wildflower Center at the University of Texas at Austin and the United States Botanic Garden. The rating system can be applied to development projects located on sites with or without buildings and draws on the experience gained from a two-year pilot program involving more than 100 projects. Forty-seven of these pilot projects have achieved certification, including landscape projects at corporate headquarters, national and city parks, academic campuses and private homes. Located on Lake Michigan, Navy Pier is the top-attended leisure destination in the Midwest, stretching more than six city blocks and welcoming more than 8 million guests annually. Originally opened in 1916 as a shipping and recreation facility, this Chicago landmark showcases more than 50 acres of parks, restaurants, attractions, retail shops, sightseeing and dining cruise boats, exposition facilities and more. In 2016, Navy Pier celebrates its 100th anniversary with a series of special events and programming, the grand opening of its new Ferris wheel and ongoing pier-wide redevelopment efforts as part of the Centennial Vision. Navy Pier, Inc., a 501(c)(3) not for profit organization, maintains and oversees Navy Pier and its redevelopment into a bolder, greener and more contemporary urban space. For more information, visit our website. Founded in 1999, James Corner Field Operations is a leading-edge landscape architecture and urban design practice based in New York City. Serving an international clientele, the practice is renowned for strong contemporary design across a variety of project types and scales, from large urban districts and complex planning sites, to small, well-crafted, detail design projects. In all of the work, there is a special commitment to the design of a vibrant and dynamic public realm, informed by the ecology of both people and nature. James Corner is the founder and director of Field Operations. With over 25 years of experience in the field, he directs all design projects in the office. Together with over 50 exceptionally talented design and planning professionals in the office, the practice sustains the highest levels of artistic creativity combined with professional responsiveness, building projects that are as imaginative and dynamic as they are responsive to client needs, communication, schedule, deadlines, cost feasibility and ease of implementation. The practice’s project types include entire sectors of cities, waterfronts, post-industrial urban districts, intimate garden spaces, large public parks and urban spaces, housing and mixed-use developments, the reclamation of landfills, brownfields and other derelict landscapes for new public uses and private development and preservation of large-scale natural resources. Major projects include leading the design of the High Line in New York City, Race Street Pier in Philadelphia, Tongva Park in Santa Monica, the Master Plan and subsequent site design of Seattle’s Central Waterfront, the Cornell Tech Campus in New York and the Presidio Master Plan and Parklands in San Francisco. For more information, visit our website or our Twitter and Instagram profiles at @fieldoperations. James Corner Field Operations is the lead designer and landscape architect for the new Navy Pier, and enjoys an excellent team of world-class experts and specialty collaborators, including Re:Vision, nArchitects, Gensler Architects, Thorton Thomasetti, Environmental Systems Design, Terry Guen Design Associates, Jeffrey Bruce + Company, Fluidity Design Consultants, L’Observatoire International, Pentagram, Buro Happold, Billings Jackson, Primera, Kimley-Horn, Construction Cost Systems and D’Escoto.